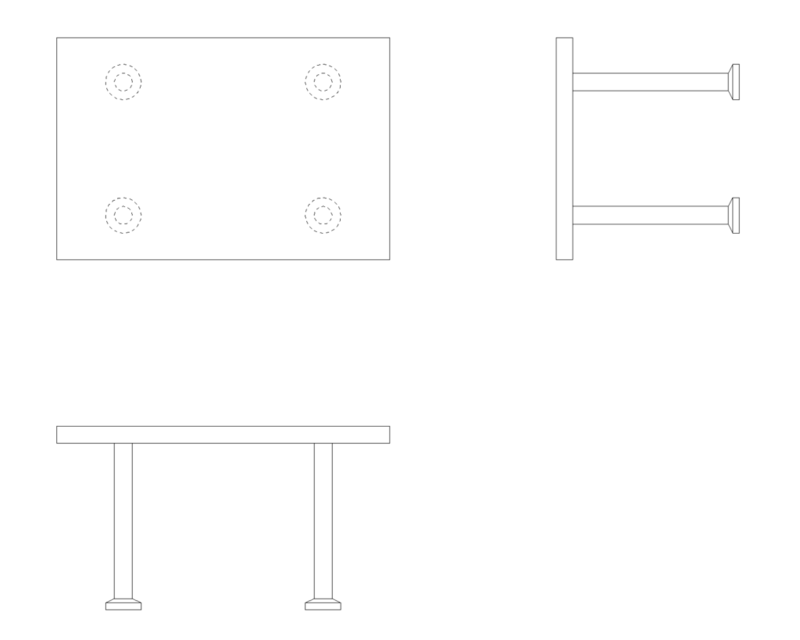 You are now able to download 3D-models from our products. Files are for Autocad 2007/2010 and Tekla Structures programs. 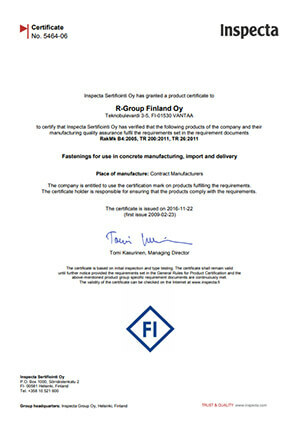 Certification is a means to ensure the product’s quality and safety, as well as its conformity to regulations. 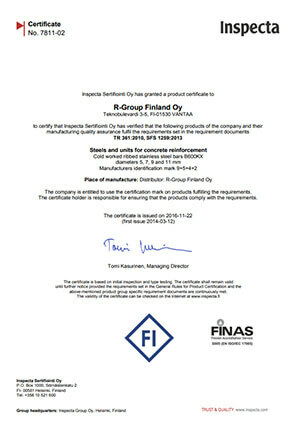 and meets qualification criteria stipulated by organizations such as Kiwa Inspecta and FINAS. 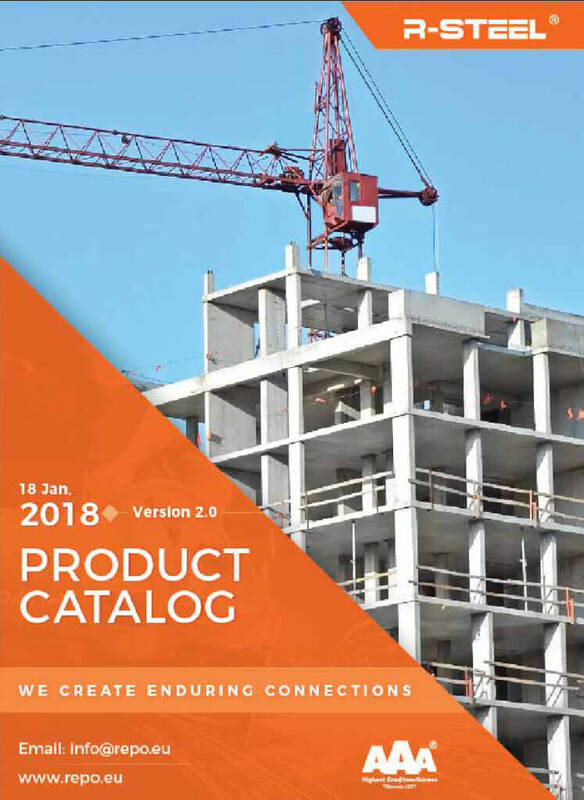 If you are looking for precast accessories and concrete connections, look no further than RSTEEL®. 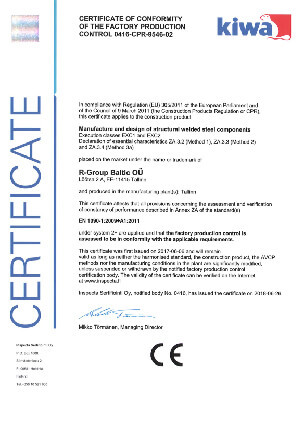 Get certified quality products for safer and reliable construction for your projects. 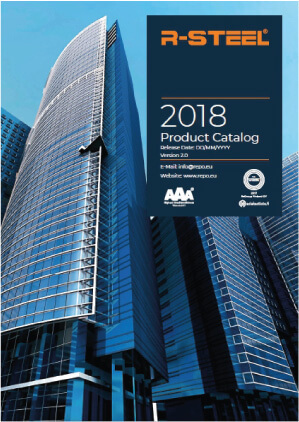 Check out our RSTEEL® and RSTONE® Product Catalogs! 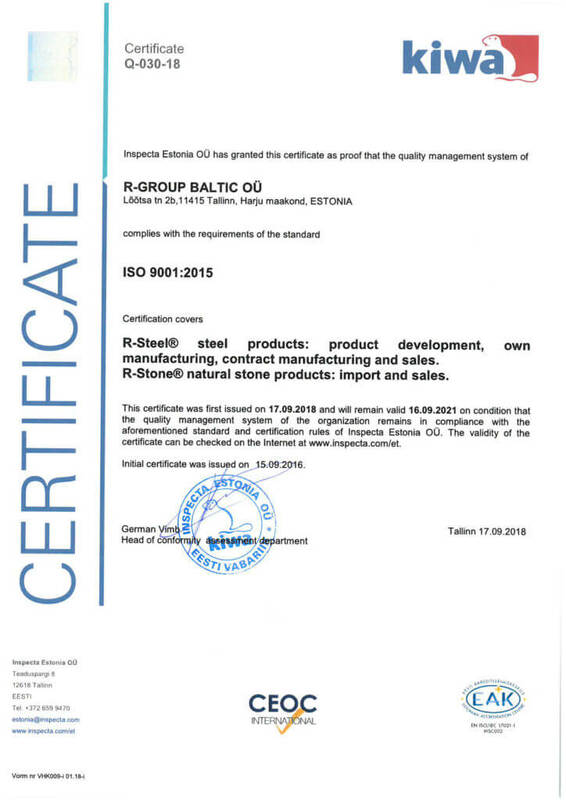 Established in 1997, R-Group Finland Oy is an importer and wholesale distributor of the finest quality Granite and natural stone materials. 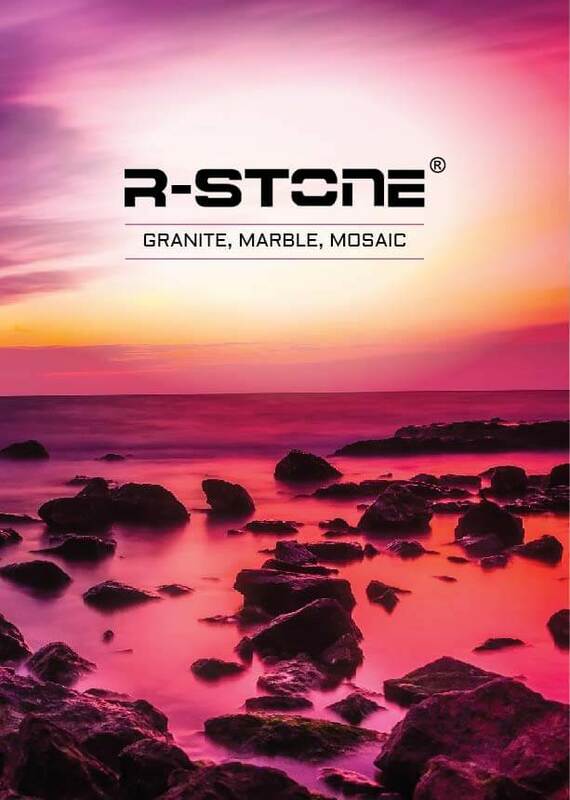 Our beautiful materials are imported from quarries around the world with exceptional attention to material integrity and beauty. and its range of solutions in the company brochures. 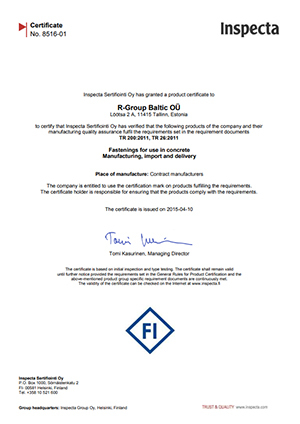 R-Group is a Finnish leading global supplier of precast accessories and concrete connections. 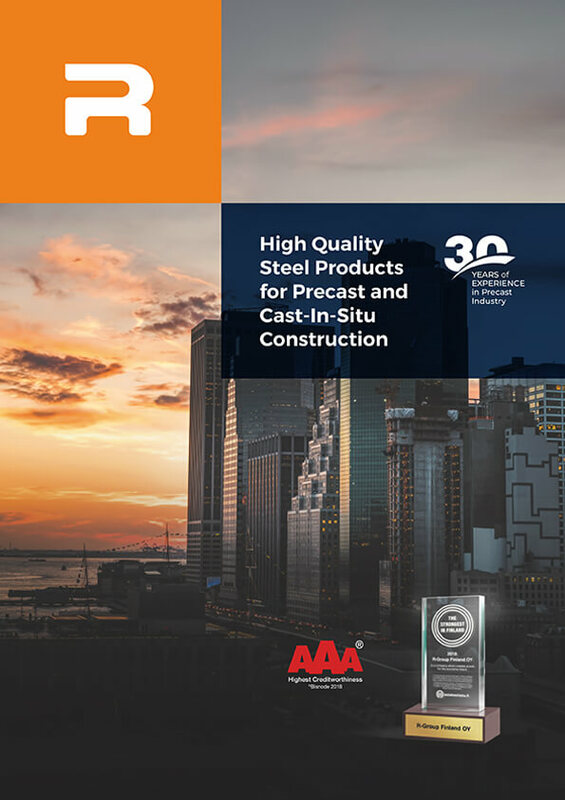 With more than 50 years of experience in precast industry, R-Group with its global brand of RSTEEL® provides sustainable solutions for safe, reliable and enduring structures throughout the world. 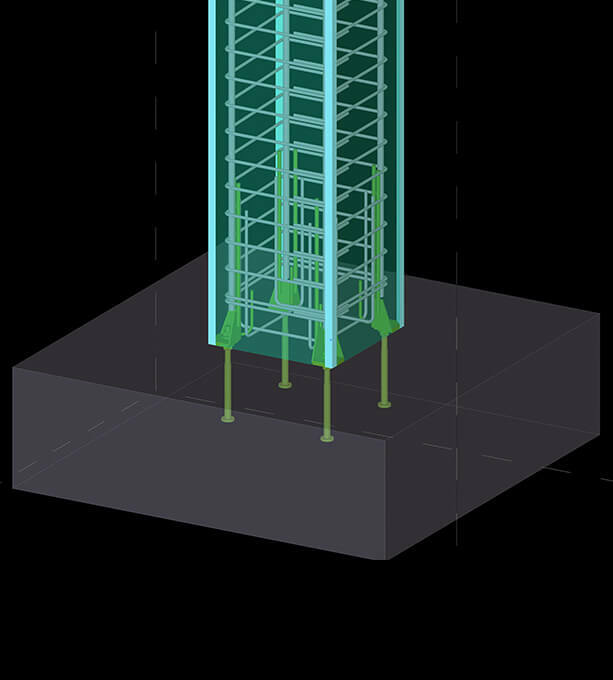 RSTEEL®‘s robotic welded, Inspecta certiﬁed high-quality Column shoes and Wall shoes along with base bolts are the perfect solutions for creating moment resisting connections for precast elements. 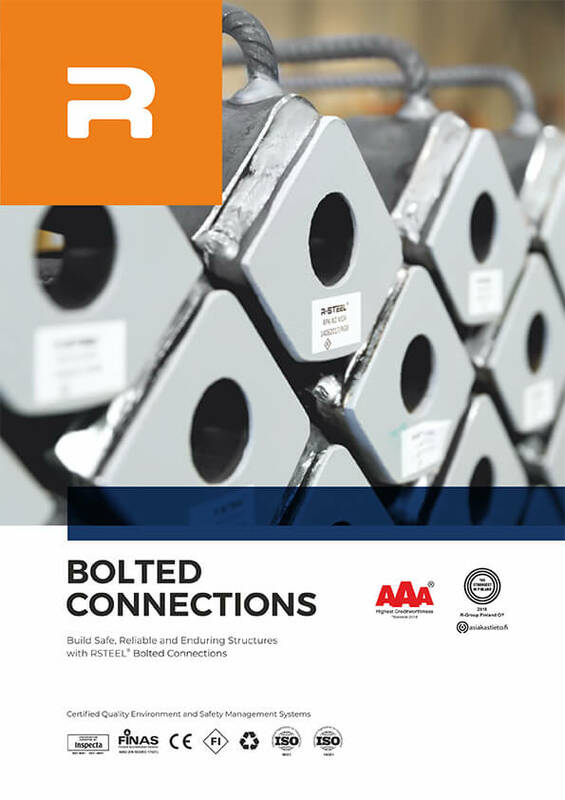 Our bolted connections are designed according to Euro codes and have BY approval and produced according to EN 1090. RSTEEL Smooth Bar Lifting Loops RSTEEL® Smooth Bar Lifting Loops meet the requirements for safe and efﬁcient lifting and handling of walls, columns, beams and other pre-cast concrete elements. These are made of smooth bars. We all know the issue of building ﬂoors with openings costing time and money! The RSTEEL® ROK is a great technical solution to support hollow-core slabs(HCS) and make openings into hollow-core slab ﬂoors. ROK consists of an L-shaped steel front plate welded together with side plates. It transfers HCS slab end support reaction to adjacent HCS slabs or walls in both installations of HCS slabs and in the ﬁnal situation. 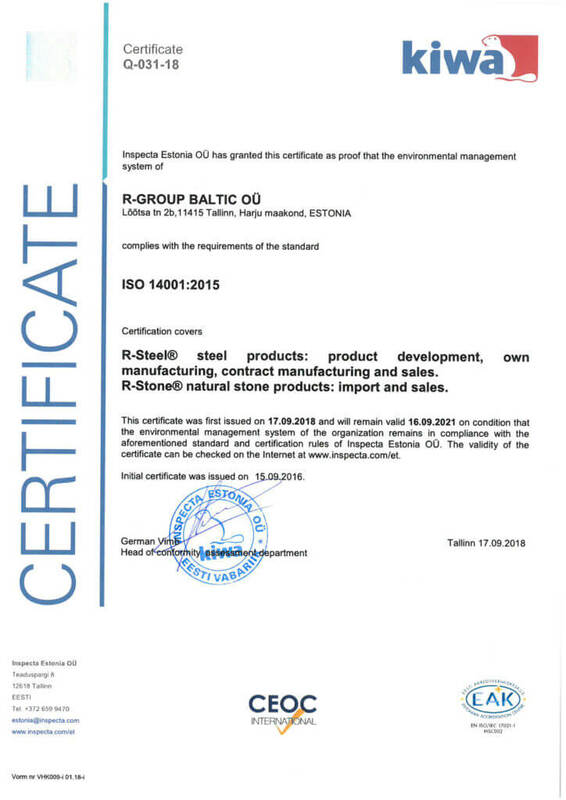 ROK has been used in hundreds of projects and is available to customers across Europe. 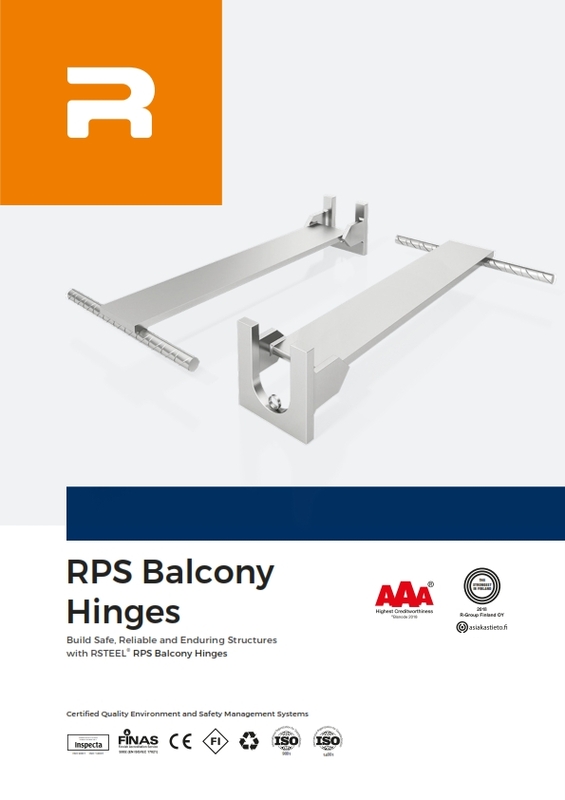 A UNIQUELY designed solution to connect supported balcony slabs to the building safely while enabling vertical movements of up to 14 mm due to temperature changes. These are steel parts used in pre-cast concrete buildings to transfer horizontal loads from balcony slab to the building floor and at the same time allowing vertical movement of balcony due to temperature changes. RPS balcony hinge consists of R30 or R36 lifting anchor installed to the balcony slab before casting and balcony hinge steel part installed to the floor grouting. These parts are connected with an attachment screw. 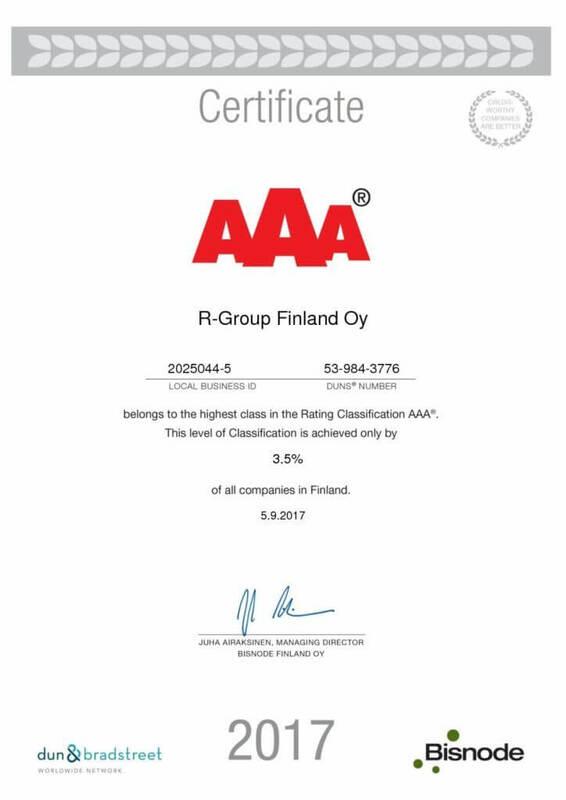 We are proud to announce that R-Group Finland Oy has again been certified with credit excellence rating AAA, the “highest credit-worthiness” rating within the Dun & Bradstreet credit risk report. The Creditworthiness Rating Excellence Certificate testifies to our outstanding achievements and indicates that the company is a high-performing, trustworthy and reliable partner to its customers and partners. 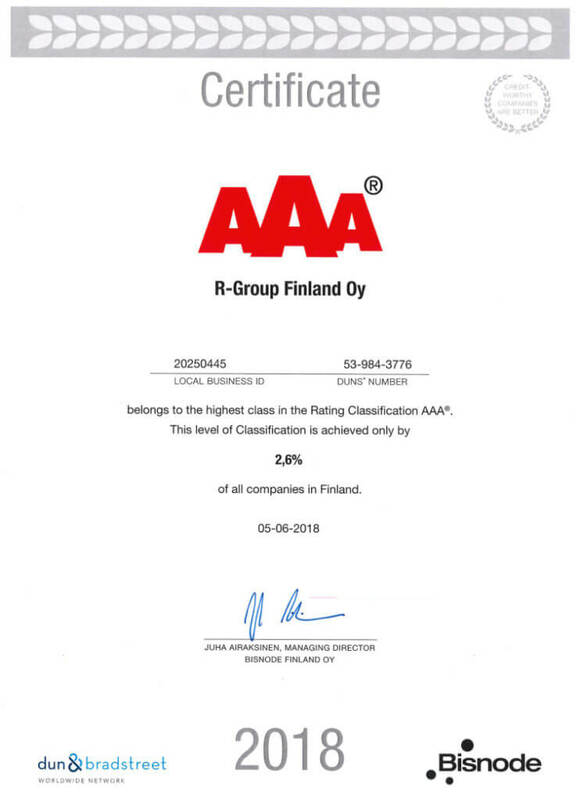 Bisnode D&B has been rating companies at international level on the basis of their reliability since 1908.Their company information and company rating services are among the most extensive solutions throughout Europe.